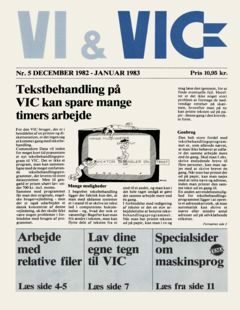 VI og VIC Nr 5 årgang 1 December/Januar 1982/1983 (Danish). This entry was posted in Vi og VIC and tagged danish, magazine, vic, vic 20 by Carsten Jensen. Bookmark the permalink.